I think we all need some arm candy to compliment that gorgeous outfit you have on. Even if you're going for an extremely relaxed look, like a simple t-shirt with jeans, it's still nice to rock some arm candy. Melissa Odabash is famous for her gorgeous bikinis and kaftans but she has some gorgeous pieces of jewellery also. I have fallen in love with her bracelets. These pieces are reasonably priced so they wouldn't hurt your bank balance. I have had a look at her current range of bracelets and have chosen five that I really like. You should definitely have a look at them if you haven't already done so. 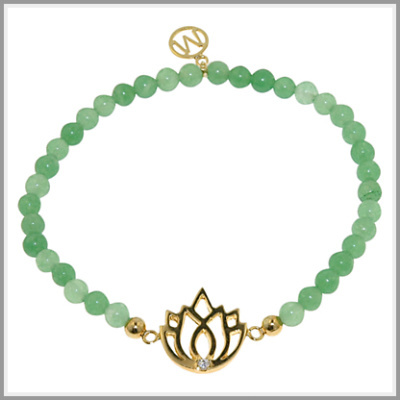 This is a triple dipped gold plated lotus charm friendship bracelet with semi precious stones. I really like this, I think it can add a great touch of colour to your arm. The semi precious stones really make the gold lotus charm stand out. This gorgeous bracelet is designed with a gold plated open lotus leaf detail and a bold coloured strap. It has that sparkling stone set in the middle. It is available in 5 different colours; orange, black, purple (below), red and blue. I think this is the definition of simple chic. This is also a really pretty bracelet. 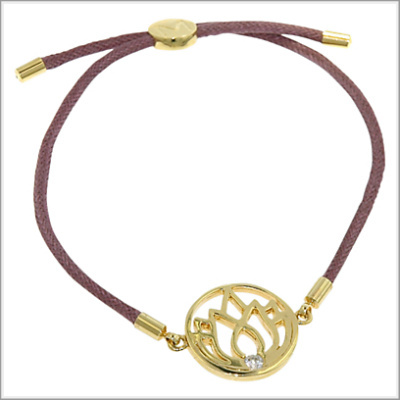 It is tripple-dipped gold plated with rose quartz stones and the lotus charm. It is an elegant bracelet that can once again be worn with a gorgeous evening gown or even when you're dressed down. This is a beautiful rose gold plated charm bracelet. It has also has the statement lotus leaf with a sparkling stone set in the middle. 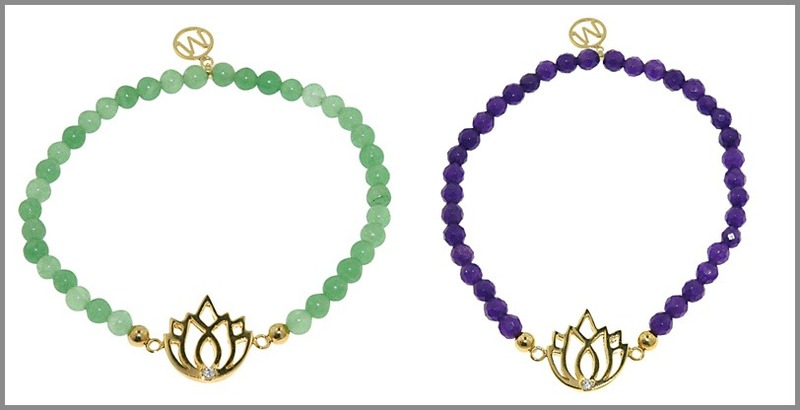 This is a triple dipped gold plated lotus charm friendship bracelet with beautifully round semi precious stones. This is similar to the Amethyst above, the only difference is the shape of the stones. I think these bracelets are all simple and versatile, yet extremely chic. You can find Melissa Odabash pieces in high end department stores or there is the online store; www.melissaodabash.com. What do you think of the bracelets? Have you purchased any jewellery from her range? ***Please note that this was not a sponsored post.